ARTIFACT: This is an early air transport industry celluloid badge. It is in red, white and blue, shows a propeller at center and reads 1726 IAM AIR TRANSPORT INDUSTRY LODGE. SIZE: Approximately 1-1/4� in diameter. CONSTRUCTION/MATERIALS: Celluloid-wrapped tin and brass pin. ATTACHMENT: Horizontal straight pin with simple catch. 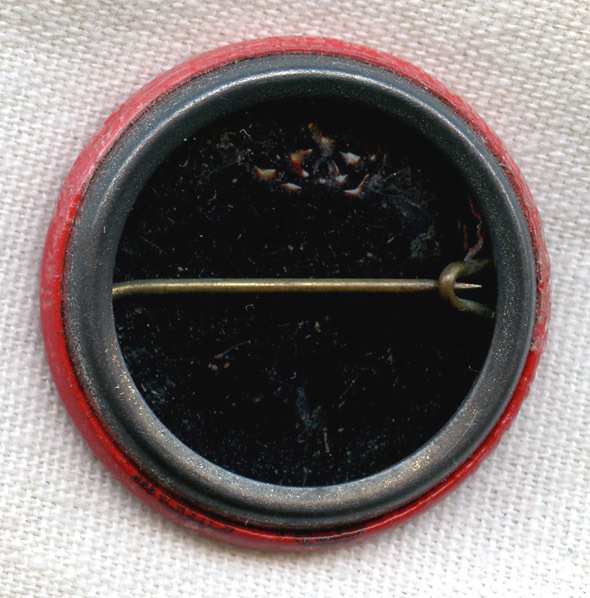 CONDITION: 7+ (Very Fine+): The badge shows light to medium wear.